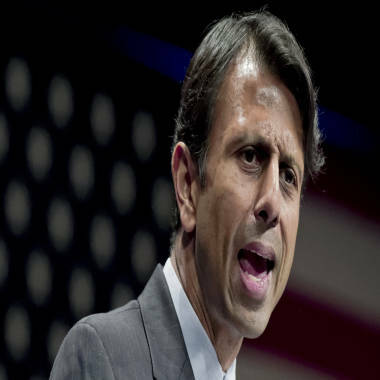 JACKSONVILLE, Fla. – Paul Ryan’s got a friend in Bobby Jindal. Jindal, governor of Louisiana, told an audience of conservative activists on Saturday that presumptive Republican nominee Mitt Romney would send a “powerful message” on budgetary issues were he to choose Ryan, Wisconsin’s U.S. House representative, as his running mate. The remarks came as Jindal – a buzzed-about veep prospect himself – wrapped up a keynote address to the Red State Gathering in Jacksonville, an annual conference of Tea Party and other conservative activist groups. "I think picking somebody like a Paul Ryan would send a very powerful message that this administration was serious about Medicare reform, entitlement reform, shrinking the size of government, and doing so in a courageous way," Jindal said of a Romney presidency. Ryan is chairman of the House Budget Committee and the author of a controversial plan that Democrats have attacked over its cuts to federal entitlement programs. Romney, who won Ryan’s endorsement in March, has spoken favorably of the plan, pleasing conservatives who have helped to make Ryan’s name a nationwide brand. Still, some at the conference here clearly had another veepstaker in mind. “I was going to God bless you and pray that our nominee has you and your first lady on the list to be vice president,” an audience member said as Jindal took questions. Jindal, brushing aside the compliment, responded that he has a “bias” toward the executive experience earned by governors, before adding that Ryan is an exception to that rule. Asked later if he was making an endorsement of a Romney-Ryan ticket, Jindal said no. Jindal earlier told the crowd that he also admired Florida Gov. Rick Scott and Texas Gov. Rick Perry– whom Jindal backed for president during the Republican primaries. Perry, who dropped out of the race in January, announced for president at last year’s Red State Gathering, held in Charleston, S.C.